The strongest one there is, in his most savage story ever! 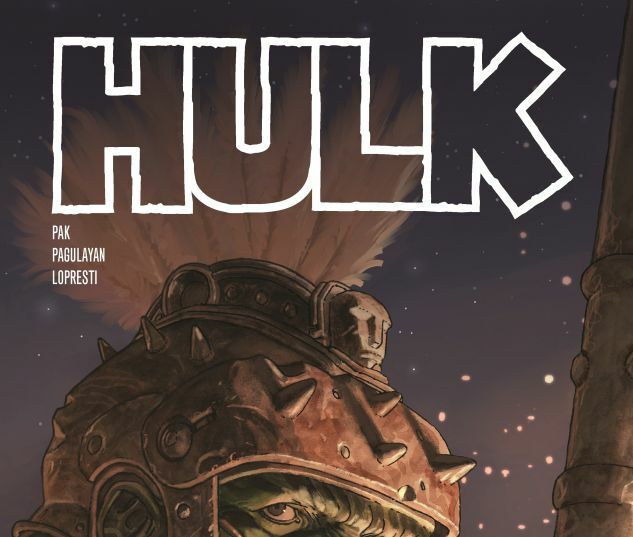 After a brutal battle between the Hulk and the Fantastic Four, Earth’s greatest heroes decide that for the good of all — they must shoot the Hulk into space! But when he lands on the savage world of Sakaar, an epic for the ages begins. This one has it all: Strange alien planet! Oppressed barbarian tribes! Corrupt emperor! Deadly woman warrior! Gladiators and slaves! Battle-axes and hand blasters! Monsters and champions! And the Incredible Hulk! Let the smashing commence! 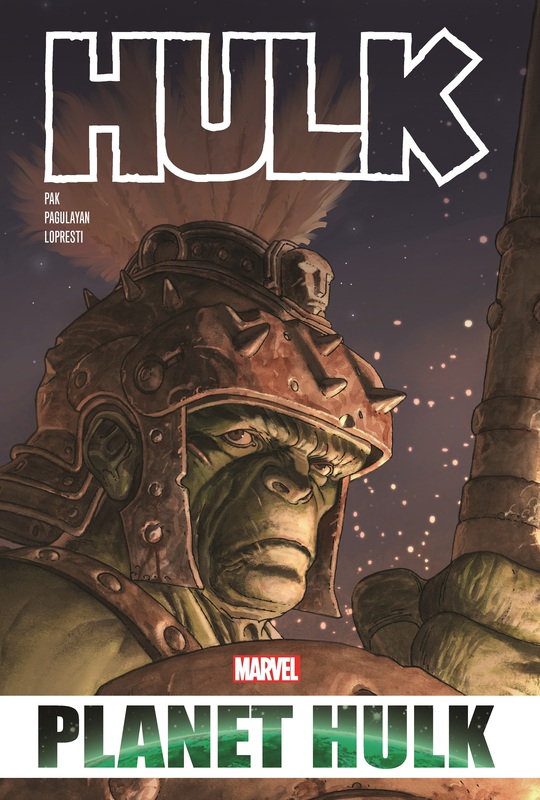 Plus: an alternate take, a guidebook to Sakaar and Amadeus Cho’s totally awesome debut! Collecting FANTASTIC FOUR (1998) #533-535, INCREDIBLE HULK (2000) #88-105, GIANT-SIZE HULK (2006) #1, WHAT IF? 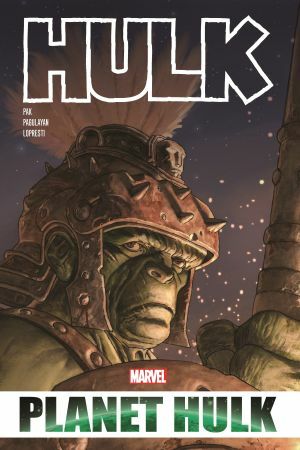 PLANET HULK, PLANET HULK: GLADIATOR GUIDEBOOK and material from NEW AVENGERS: ILLUMINATI (2006) #1 and AMAZING FANTASY (2004) #15.